After Vision Sunday last week, our staff quickly turned the entire campus around to host the ECO National Gathering for 2019. By Sunday night our church was filled with sponsor tables, registration desks and materials so that the larger movement of churches to which we belong could come and be inspired and encouraged. About 1,000 delegates and many representatives of partner ministries descended on our city. Almost 100 volunteers and staff from First Pres put on t-shirts and went to work with one mission—to bless the guest. We wanted to bless the guest with hospitality, making sure that all these pastors and elders from around the country felt at home. They came in tired from travel, cold from the storm and weak from the elevation. Our hosts greeted them with friendly smiles, helped them get to where they needed to go and immediately started talking about high-elevation hydration! First Pres made these guests feel at home. We wanted to bless the guest with moments of powerful worship and inspiring messages. The messages were planned and provided by our Synod staff, but the worship was all our team's doing. Jim DeJarnette and Chris Cullins worked hard with their teams to demonstrate the glory and joy of being a two-mode-worship church. The sanctuary was on fire with a full choir, bagpipe troupe and a little bit of preaching from our friend Nate Stratman. The Worship Center was full all week with the best we had to offer. Many were glad to find the praise style of worship to bless their time here, and many others came to explore how contemporary worship can be pursued so professionally in a Presbyterian setting. First Pres blessed these guests with new visions of worship. Most of all, our prayer was to bless the guest by providing a platform where Christ could reach every delegate and speak to them personally. The theme of the conference was that each church leader could ask the Lord for their church’s next step—the next challenging and obedient step their church is called to take on Christ’s mission. The prayer was that every one of us would hear from the Lord Jesus by His Spirit; that the Head of the Church, Jesus Christ Himself, would direct each of us in a personal way toward next steps. And we worked to encourage one another, in various ways and through various means, to be bold enough to take that next step for Jesus. This very thing we prayed for … it happened. Personally, I cannot say enough about our staff and volunteers. If I were any prouder of First Pres, I’d burst. We stepped up, sacrificed a lot, served humbly and blessed the guest. Thank you staff. Thank you volunteers—with a special thanks to Jim Cox, Phyllis Cox, Dorothy Alvarez, Melissa Owen, Dave Freehling, Don Fraser and Robin Gates. Thanks for making First Pres a place where these leaders could meet with Jesus. 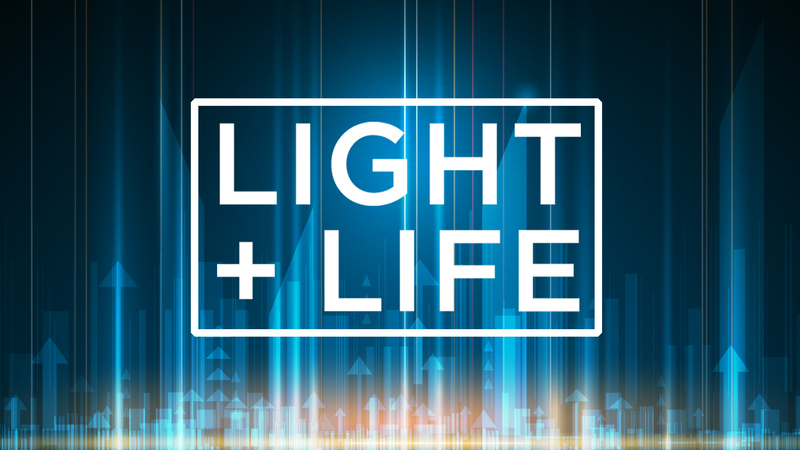 This Sunday we continue our series, Light and Life, and we look to Jesus to find the "Fulfilling Life." You see, every Sunday is another opportunity to bless the guest. Every Sunday is a platform provided where we can meet with Jesus. Maybe this week someone will be blessed in a special way. Maybe this week we will be able to bless the guest again. Just maybe you will have the opportunity to bless the guest right into the presence of Jesus, and someone who never heard from the Lord before will hear Him clearly and respond and be saved. We are not only a great place for Christians—we are a great place to meet Christ for the very first time. You never know what God will do when you open your hands to bless the guest.